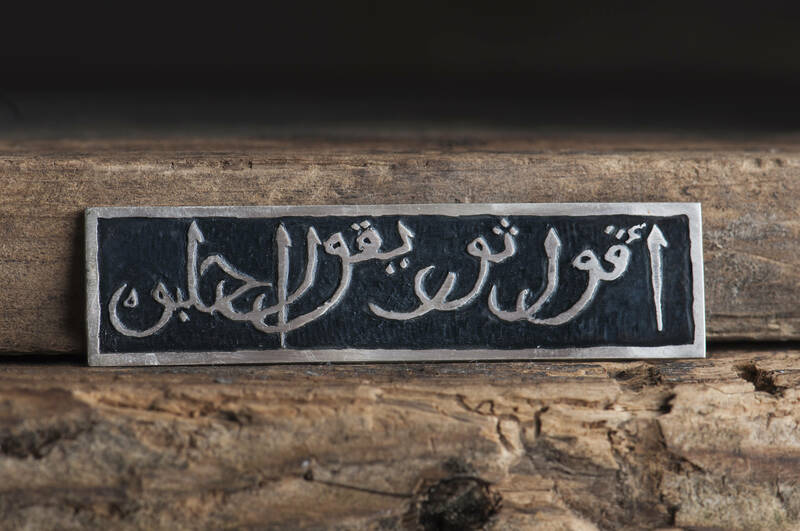 This Arabic band is more a custom request service than a product itself, because of its personal character. 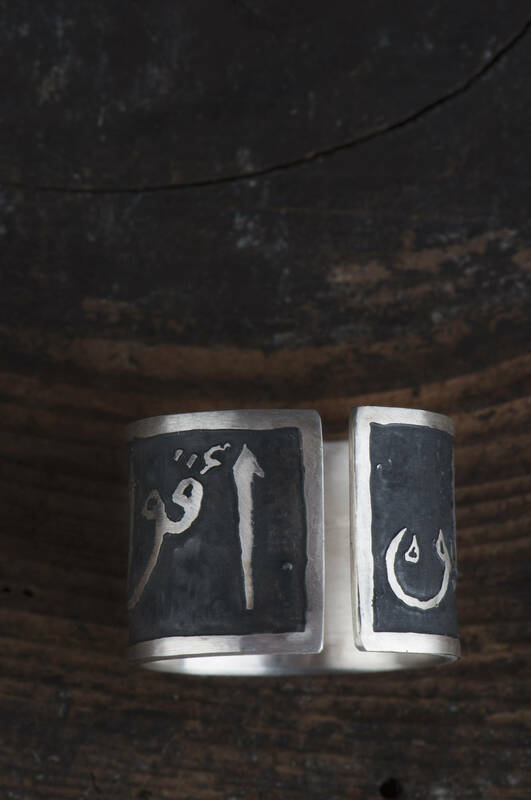 Each design is in fact a result of my interpretation of a chosen sentence in decorative and beautiful Arabic calligraphy. You can chose your own phrase or we could work together on a design that would express your personality and convey your message in the best way. I can also do other scripts and types of calligraphy and translate your phrase into Turkish or Arabic and a few other languages. 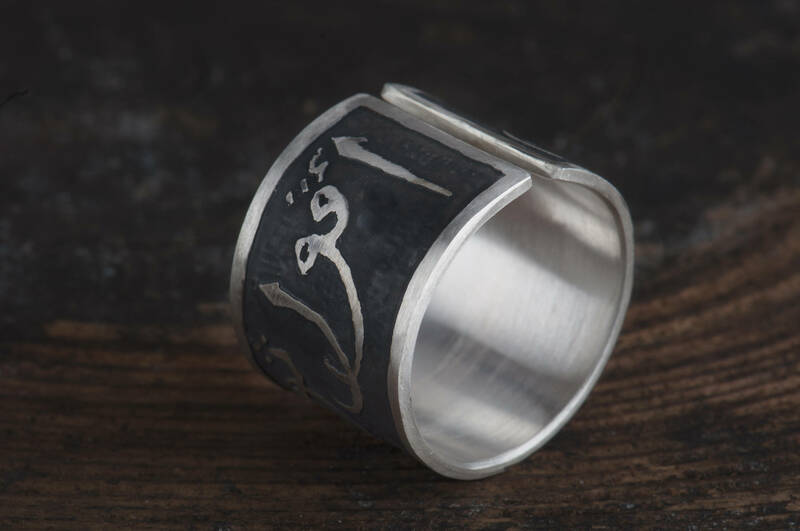 The etching technique I use to make this ring is a bit unpredictable, resulting each time in a unique jewelry piece. 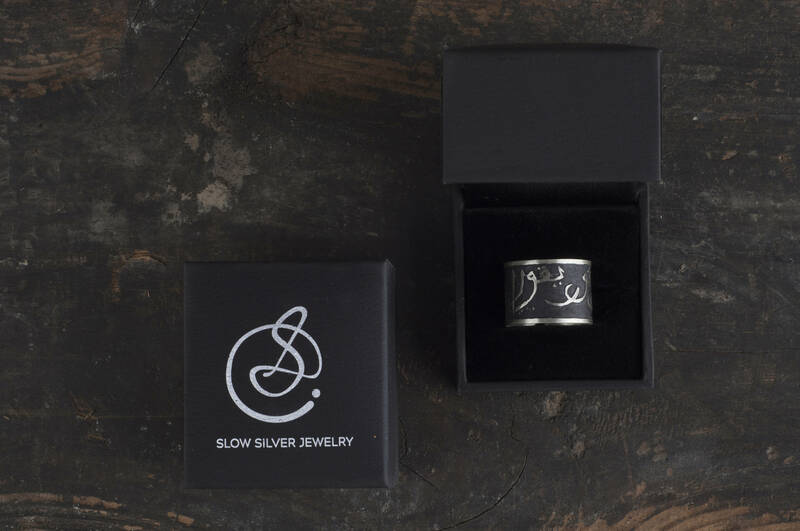 As you can see I just can't make two identical rings - you can be sure that this custom silver ring is one of a kind. 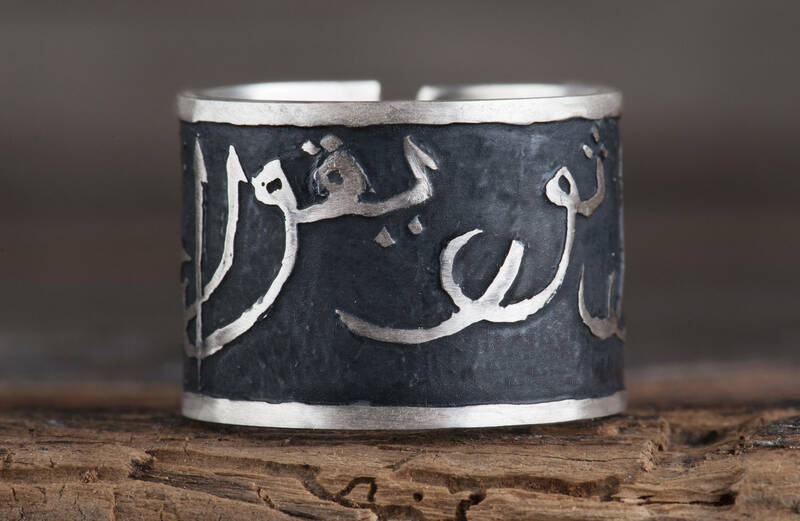 The Arabic band, initially thought of as a man’s ring, looks powerful and attractive also on woman’s finger. 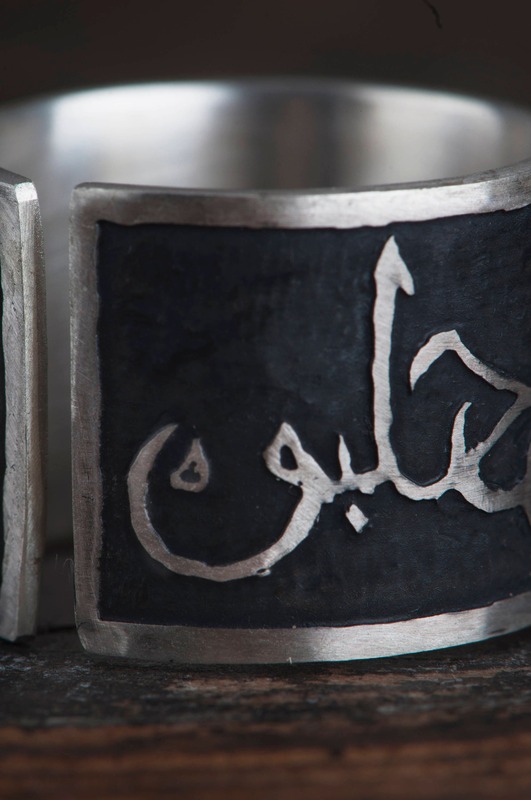 Arabic Name Ring can be a wonderful gift for anybody who adores Arabic and Oriental culture. 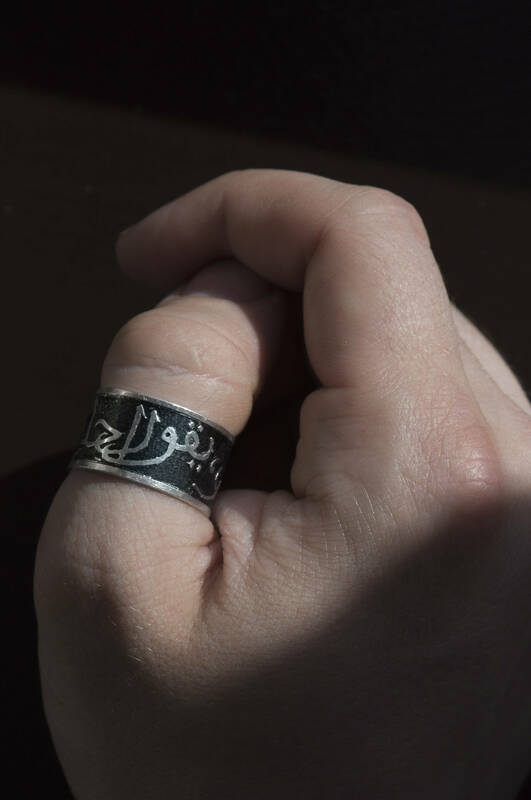 Since it is a thumb ring, it is open to allow change in it's diameter, which is very comfortable for the finger but if you want to wear this ring on other finger or simply you prefer a closed band it's no problem for me to make the ring that way. The etched surface is clearly lower (like a relief), and blackened. Oxidation (black patina) is a sulfur compound surface treatment for silver. It is covered with a protective layer to preserve the black color for longer. Over time however, with wear, the oxidized finish will slowly change by becoming darker in the deep crevices and lighter on the high areas of the texture. The oxidized surface can be easily maintained by your local jeweler but you can also allow the patina to settle into a vintage looking and personalized finish. 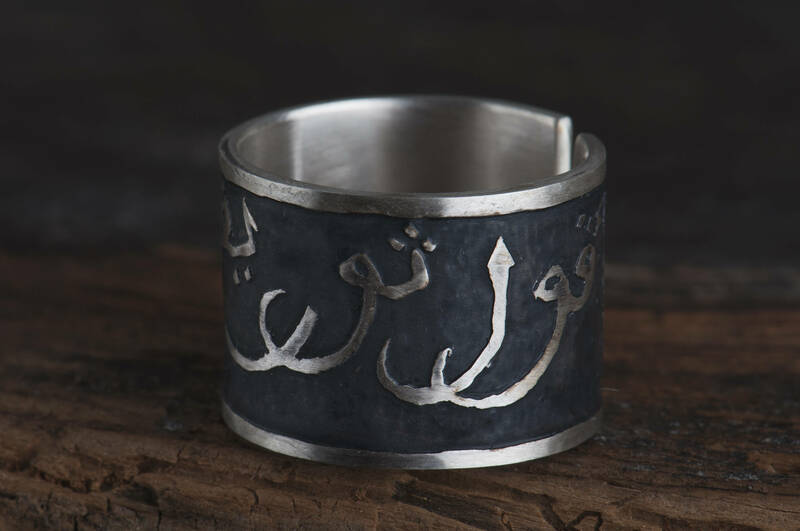 This black thumb ring is entirely handmade and I need up to 14 days to make it and ship. It will arrive in an elegant black jewelry box - excellent as a gift box. 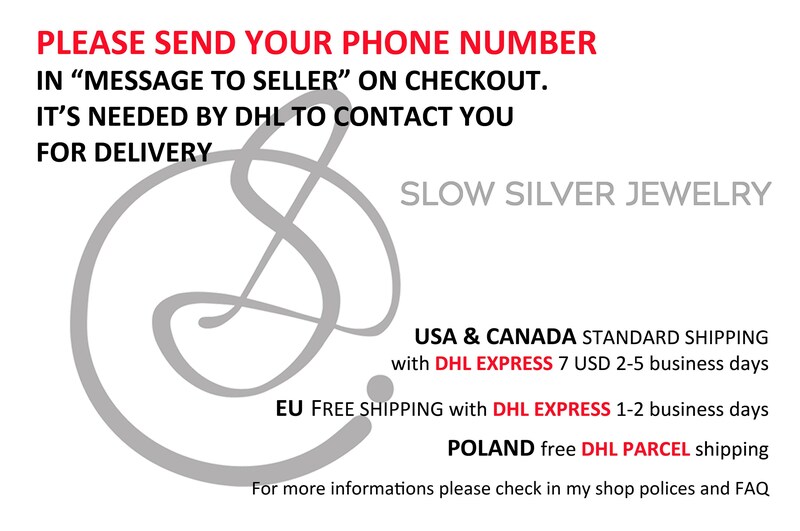 I can ship this black ring directly to the recipients front door including a gift card with a personal message from you. 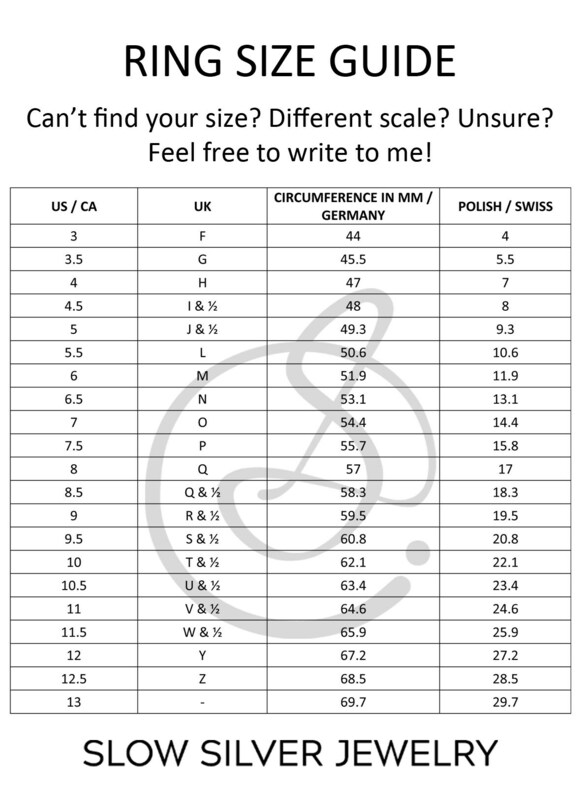 If you have any questions before or after ordering please feel free to send me a message. After making the order please stay in touch with me until we finish the design - it's really important for me that you accept the final result.